We’ve just hit ‘publish’ on the next release of Yoast SEO. 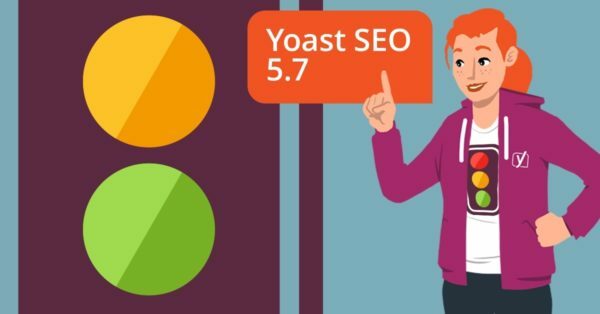 Yoast SEO 5.7 isn’t so much about killer new features, but more about ironing out some kinks to make sure we’re offering you the best possible experience with the plugin. In this release, among other things, we’re adding some new notifications and improvements to the logic that determines how you use keywords in your post. Let’s take a look, shall we? One of the core reasons for the existence of Yoast SEO is helping you make improvements to your site. In a perfect world, you’d be able to do everything by yourself. Yoast SEO takes care of a lot of improvements under the hood of your site, but sometimes it needs your input. That’s why we use a system of notifications. These notifications bring certain issues or potential improvements to light that might influence your rankings. Paying attention to these might save you a lot of work. In Yoast SEO 5.7, we added some new notifications that will trigger when your site runs a particular plugin. In this case, whenever you run the official AMP plugin or the Advanced Custom Fields (ACF) plugin, the notification will remind you to install our Glue plugins: Yoast SEO AMP Glue and Yoast SEO ACF Glue. Installing these plugins make sure that Yoast SEO and AMP and ACF work together seamlessly. As always, there were a number of community patches from our awesome community members. In this release, Shane Grey and Pedro Mendonça receive all the credits. 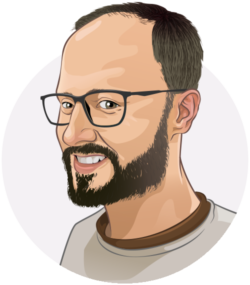 Shane Gray made sure that we could replace the link to Google AdWords with the HTTPS variant, while Pedro Mendonça suggested changing the preferred spelling of plugin and setup. Thanks so much, guys. If you want to help improve Yoast SEO or any one of our other plugins, please head over to GitHub. We’re looking forward to your input. We highly value our community members as they helped us to get where we are now. While Yoast SEO 5.7 doesn’t feature killer new features like the last couple of releases, it does improve how the plugin performs. We fixed several bugs and enhanced the plugin where possible. It takes a new step in helping you get the most out of your site. We hope you enjoy working with Yoast SEO and we’re looking forward help you tackle those rankings! Thanks for the update Yoast! I am weekly checking my google webmaster dashboard, keyword is everything! Too bad it doesn’t exist for phpBB yet. It does but it’s not in the original files. Thanks, I have updated it via WordPress panel. I know Yoast SEO AMP glue plugin but not ACF glue. I’ll check it out and see if I can install it. Thanks for the info! Thank you, Yoast. I’m waiting for this new update. The Yoast Glue for AMP is a must for me. However, the official AMP plugin is not perfect yet. It takes Google a short amount of time to index the new post, but it can take several weeks to update the AMP index. There is also some bugs about AMP like: some fetching error in page url (like amp/page2 is not found). Yoast SEO is an indispensable plugin for me. I really like the Breadcrumb features. Good morning! I’ve been using yours for quite some time now, but I’m not sure when you release updates, if my plug in automatically updates, or if there’s something I have to do myself on my end. Please help! Great article. I Love how Yoast is such a helpful seo plugin. Do you know how to link it to a sitemap?